I had my eye on the new Lew's Mach Crush Speed Spool reel since they gave us a sneak peak before ICAST 2017, so I was excited to get to test it this past fall into winter. 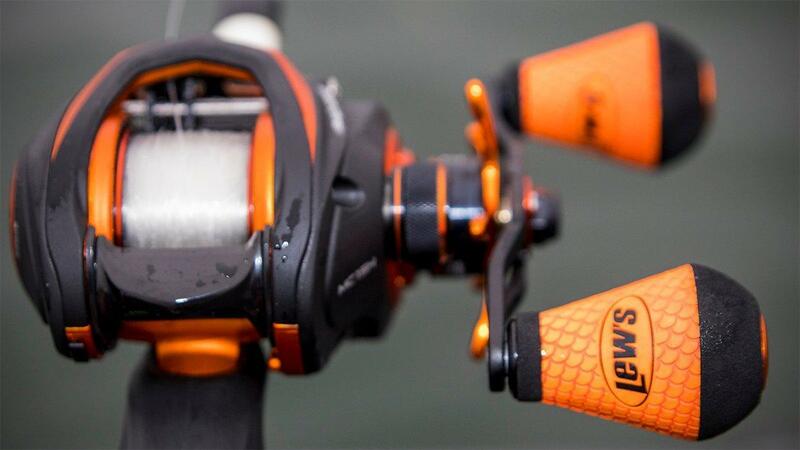 The "orange crush" color scheme makes this one of the more readily identifiable reels in the Lew's line of fishing reels, but I've found it to be a lot more than just catchy colors. It's a workhorse of a reel. Here are my experiences with what may become one of the most popular reels Lew's has ever produced. The composition of this reel is what makes the Lew's Mach Crush Speed Spooldifferent, and it is also what lowered the reel's price point. 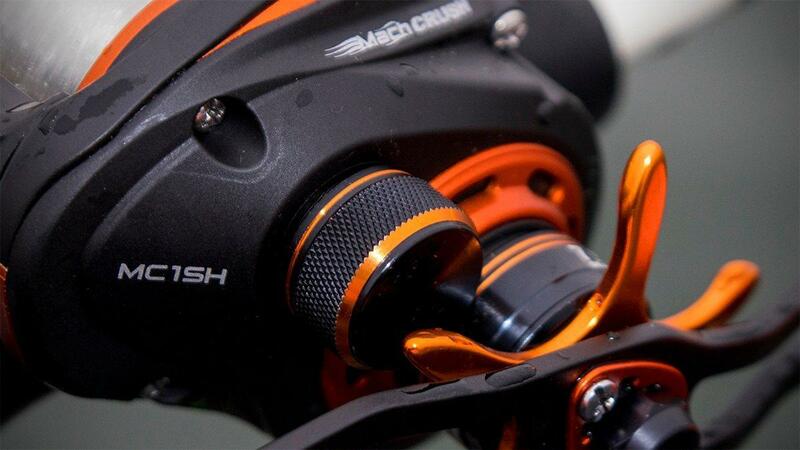 The Mach Crush is built on a composite graphite frame with graphite side plates. That's a departure from the norm of aluminum frames, and I will admit to buying into some of that skepticism. But after seeing how this reel performs, I'm questioning if we have overhyped building frames out of aluminum with the advances in extruding extremely rigid bodies with more advanced graphite materials. It seems the adjustments to materials and the process for making the frame has led to this being a very sturdy platform without the dramatic increase in reel weight. Durability will be something to be proven over time. But so far I'm very impressed with how the reel has held up in the first 4 months. The adjustments to tension, drag and braking are very precise and the Mach Crush is as fluid as I've ever felt an all graphite reel to be. The spool and handle are aluminum for improved performance in the areas that see the most abuse. 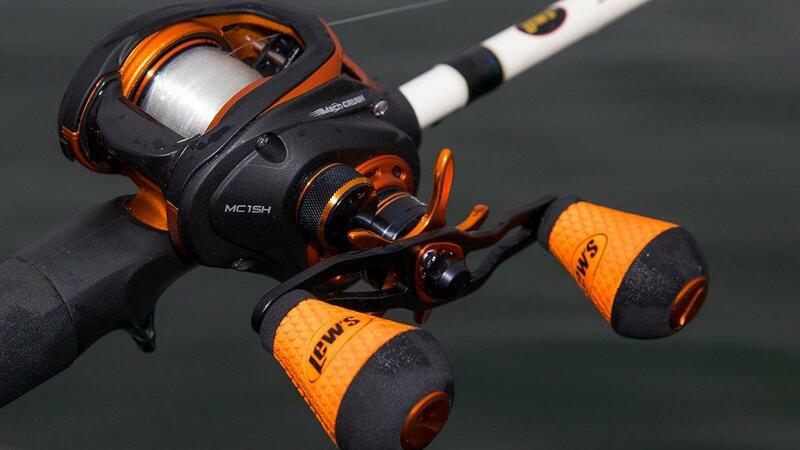 The SLP design gives the Lew's Mach Crush reel an ultra compact profile with a large gripable handle thanks to the new Winn Dri-Tac knobs. I've really liked the change in Lew's handles in the last few lines of reels. The grips are really comfortable, easy to hang on to during a fight and don't flex. My son's school colors are blue and orange. I'm a Florida Gator, so I'm accustomed to rooting for orange. But I wasn't sure about orange on a baitcaster. That was until I saw a couple of new introductions with orange styling in 2017. 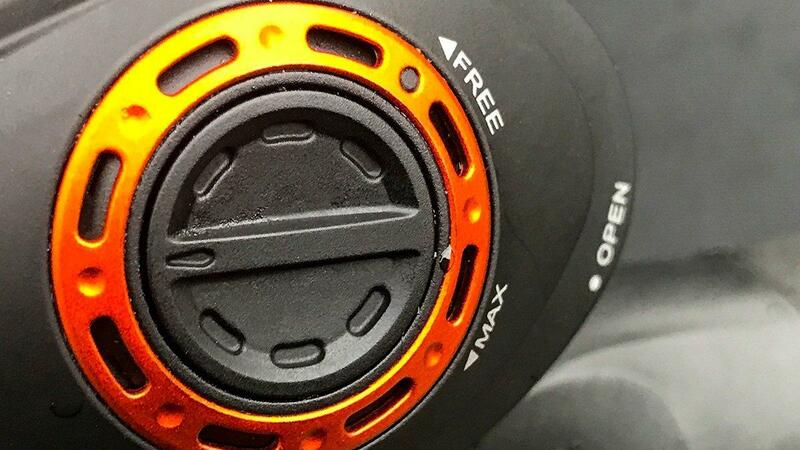 This is the right amount of orange accent to make it a really cool looking reel without being too overpowering. It looks good on a white or black rod alike for this Gator. But what will sell this reel is word of mouth on the casting distance. Some of the Lew's pro staff are already calling this the farthest casting reel in their lineup. I've been fairly surprised how well and how far the Mach Crush will throw even an odd throwing lure like a jerkbait. It was very easy to get tuned on the fly with both internal and external braking system controls. The reel feels smooth, solid and performs extremely well for an all graphite reel at the $150 price point. 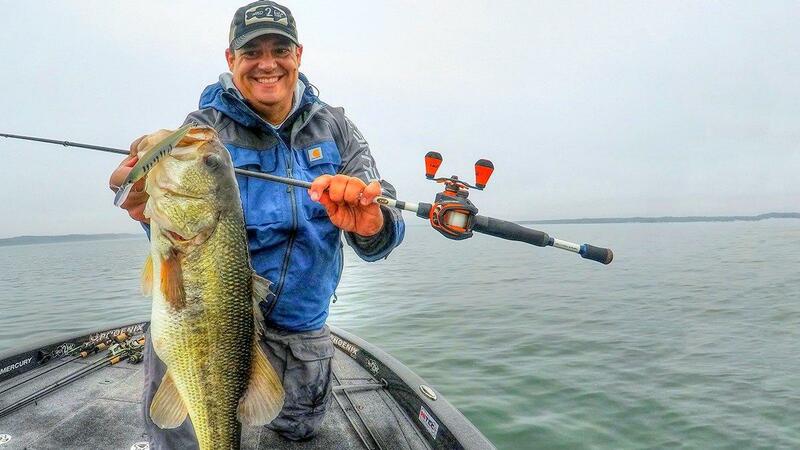 It features 10 ball bearings, 20-pounds of carbon fiber drag to make it as strong as it is smooth for casting and retrieving lures and fighting fish. 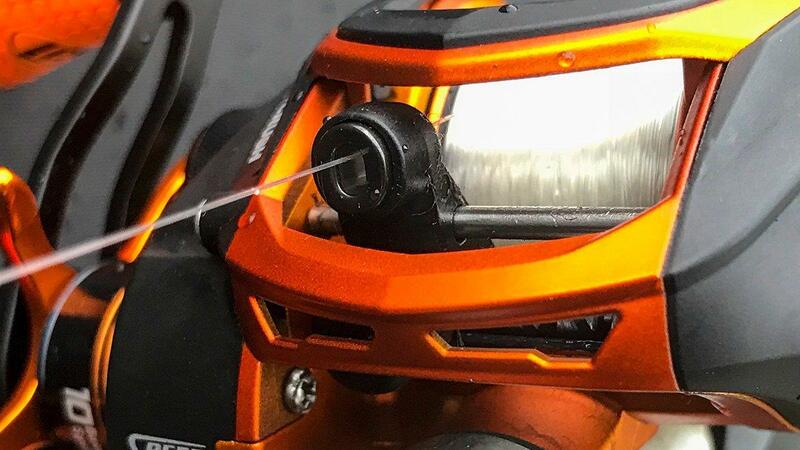 Click through the gallery to see more close-ups on the new Lew's Mach Crush Speed Spool SLP and check out TackleWarehouse.com or local retailers to pick one up for yourself.